After months of planning, Jinna and I have landed here. 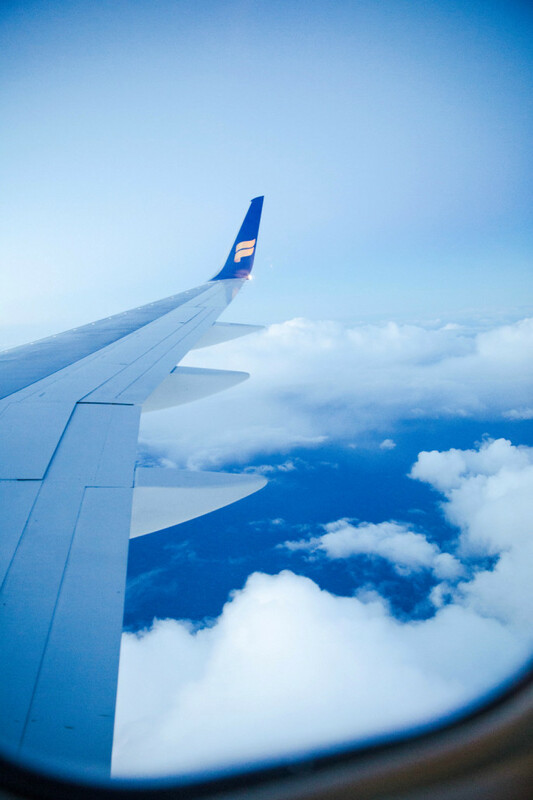 We boarded our overnight IcelandAir flight, too excited to sleep. I know I barely even blinked between getting seated and landing. There was a lot of magical feels happening outside my plane window. The full moon lit the clouds up and it mesmerized me. I’ve never seen such light coming from the moon, especially through the smog of New York. Then, there was the most amazing thing. About half an hour before flying into Iceland, the plane was situated between day and night. Behind us was complete darkness with only the moonlight and in front, we were flying into a dreamy sunrise. Wow. Just wow! Such a great way to start the trip. 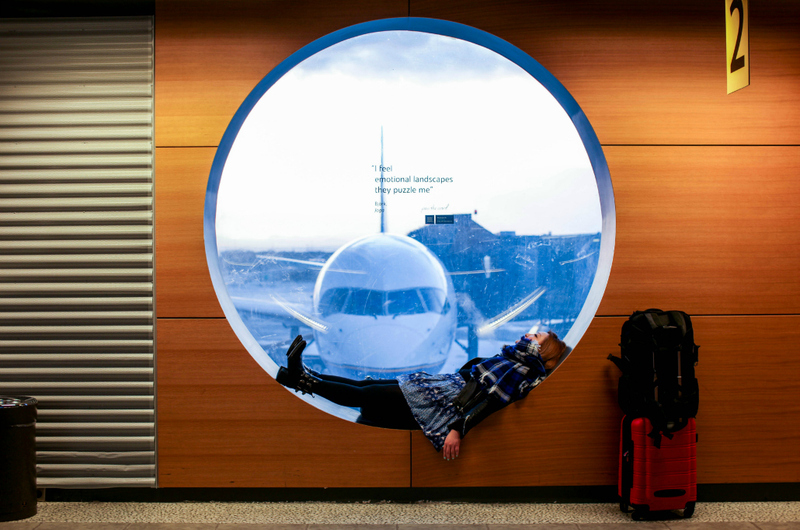 We got into Keflavik Airport at 6am and I decided to take a nap in front of this awesome window. But, seriously. The airport’s modern and artful design was just too cute.